Author: Kidder, Tracy Set In . . . Description: This compelling and inspiring book, now in a deluxe paperback edition, shows how one person can work wonders. 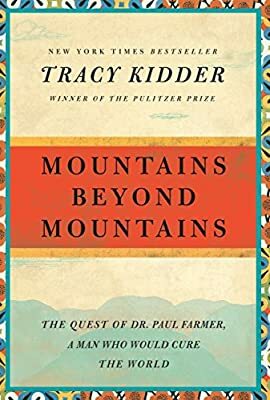 In Mountains Beyond Mountains, Pulitzer Prize—winning author Tracy Kidder tells the true story of a gifted man who loves the world and has set out to do all he can to cure it. In medical school, Paul Farmer found his life’s calling: to cure infectious diseases and to bring the lifesaving tools of modern medicine to those who need them most. Kidder’s magnificent account takes us from Harvard to Haiti, Peru, Cuba, and Russia as Farmer changes minds and practices through his dedication to the philosophy that “the only real nation is humanity.” At the heart of this book is the example of a life based on hope and on an understanding of the truth of the Haitian proverb “Beyond mountains there are mountains”–as you solve one problem, another problem presents itself, and so you go on and try to solve that one too.